Dane Kennedy is the director of the National History Center. Last month the Trump administration announced that it would admit no more than 30,000 refugees in the coming fiscal year. This will be the lowest ceiling in decades, though the fact that fewer than 22,000 refugees have been admitted under this year’s quota of 45,000 suggests that next year’s numbers are likely to be even lower than the announced cap. The administration’s announcement provided the backdrop to the National History Center’s latest congressional briefing on the history of US refugee policy. Modern American refugee policy has its origins in the aftermath of World War II. In order to aid the postwar recovery of its allies, the United States agreed to admit a number of displaced persons, making an exception to its strict controls on immigration. This ad hoc policy was soon regularized in response to the Cold War. In his remarks at the briefing, Carl Bon Tempo of SUNY Albany, an authority on Cold War refugee policy, noted that preference was given to refugees fleeing communist countries, including Hungarians in the 1950s, Cubans in the 1960s, and Vietnamese in the 1970s. Others, such as Haitians, were not welcome. Nonetheless, a substantial portion of the American public—measured at 30–35 percent in most polls—were consistently opposed to or skeptical of the admission of any refugees. Some feared that the policy would allow communist sleeper agents into the country. Opinions on the issue cut across political, religious, and racial lines. In short, refugee policy was controversial even when it was cast in terms of Cold War national interest. The passage of the 1980 Refugee Act laid the legal foundation for the current refugee policy. The act drew on the UN definition of the refugee as someone who cannot return to his or her home country “because of a well-founded fear of persecution on account of race, religion, nationality, membership of a particular social group or political opinion.” Maria Cristina Garcia, a distinguished historian of US immigration and refugee policy at Cornell University, summarized US refugee policy since 1980 in her briefing presentation. Candidates for admission as refugees go through a rigorous vetting process that usually takes 18–24 months. The largest annual intake of refugees was 207,000 in 1980. Since 9/11, however, national security concerns have increasingly overridden humanitarian considerations, resulting in stricter admission criteria and smaller annual quotas. The president has the power under the Refugee Act to set those quotas (this is the “presidential determination”), and it should come as no surprise that the current administration has used that power to slash admissions. Garcia and Bon Tempo dispelled some of the myths that surround US refugee policy. Perhaps the most prevalent derives from Americans’ sense of themselves as a people uniquely welcoming to “your huddled masses yearning to be free.” While the United States has admitted a larger number of refugees in recent decades than other wealthy countries, we don’t measure up in per capita terms. Moreover, the vast majority of the 69 million people currently displaced from their homelands will never gain admission to the United States or its counterparts. They have fled to neighboring countries, which lack the resources to absorb them. Most of them are housed in camps, and it is not uncommon for these camps to remain in operation long enough to harbor several generations of refugees. Rather than admit more than a tiny fraction of these displaced peoples, American policy has focused on financial assistance for the humanitarian agencies that help shelter and feed them—though, once again, the Trump administration has adopted a more hostile stance, most notably by halting the US contribution to the UN agency that provides Palestinian refugee assistance. The presenters also pointed out that many Americans fail to understand that refugees, asylum seekers, and immigrants comprise distinct categories of border crossers, with different policies determining their prospects for entry to the country. Most immigrants are admitted to the United States through family sponsorship, while others come on work and student visas. Asylum seekers, unlike refugees, request protected status after having entered the country, either by crossing the border on temporary visas or without authorization. Their success depends on where they seek asylum—their chances are far better in San Francisco, for example, than, say, in Mobile, Alabama—and on whether they have legal counsel. Only 11 percent of those without legal representation are successful in their asylum claims. As Bon Tempo observed, the increase in asylum seekers can be seen as an unintended consequence of the cutback in the number of refugees. The briefing’s closing message was a mixed one. 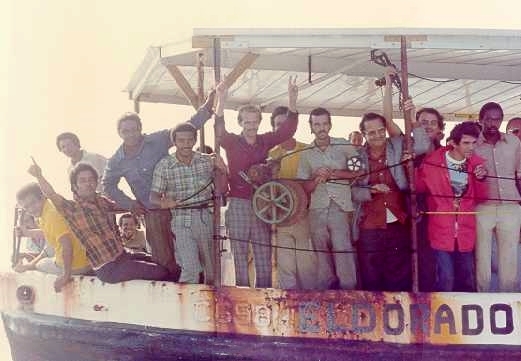 Both Garcia and Bon Tempo expressed hope that the United States’ humanitarian commitment to refugees from political oppression will endure. The moderator of the briefing, American University’s Alan Kraut, echoed these sentiments, framing them in the context of the Jews who escaped the Holocaust. Yet the speakers also reminded us that opposition to immigrants in general and refugees in particular has been a deeply rooted and widely held feature of American politics. In this respect as in others, the Trump administration has harkened back to a well-established tradition.